PIN is short for Personal Identification Number. No one needs to know your PIN, not even your financial institution. While typing your PIN, always make sure to use your other hand to hide the numbers. If you change your PIN, do not enter an easy-to-guess one (e.g. birth date). Do not reveal you PIN to anybody and do not keep your PIN number along with your card. This way they have a direct access to your account. Never allow a stranger to assist you, while you perform an ATM transaction. Make sure that you don't leave the card or the money in the ATM before you leave. In case the ATM captures your card, please report the action to your financial institution at your earliest convenience. If your card issued by Silk Road Bank AD Skopje is lost or stolen, please report the incident at your earliest convenience at 02/3203 555 24 hours a day. American Express is accepted on over 4.000 locations in Macedonia. 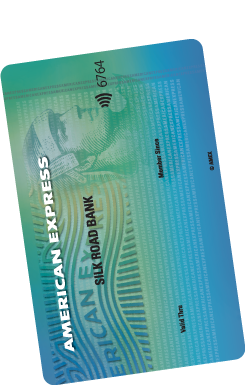 As globally most premium brand, American Express represented by Silk Road Bank offers retailers the possibility for installation of electronic POS terminals. Why should the Merchant accept American Express? As a premium brand, American Express has a premium portfolio of cardholders with higher spending capabilities. Apply below and become part of the global family of brands that accept American Express. For more information refer to the Cards Department in Silk Road Bank on + 389 2 3298 555, + 389 2 3298 598 or + 389 2 3298 597. 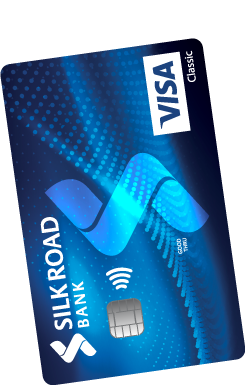 Silk Road Bank Skopje presents you its Visa Electron Point debit card – safe and simple solution to your everyday transactions. You can receive your salary/pension on the new Visa Electron Point and in this way your funds will be at your disposal, anytime and anywhere. 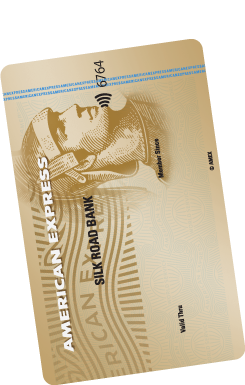 Silk Road Bank AD Skopje presents you Point American Express® card, unique American Express card on thе market linked with the current account of the customer. The Card enables conveniences in the country and abroad. 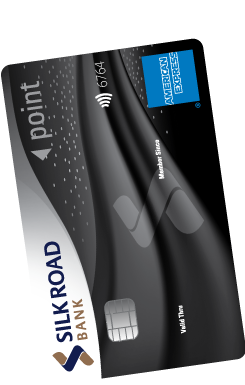 American Express is the perfectly designed card for you, for usage in the country and abroad. It is a card that brings all your wishes in one place. It is a mater of status, prestige, world class services and unique experiences. We would like to present American Express Gold credit card, which offers unmatched privileges, high quality personalized service worldwide, exclusive prestige and benefits that suits your style of life.